These plans, Primary Select and BonEssential Select, use a network of providers and are priced around 15% cheaper than Primary and BonEssential, while offering the same level of cover. Members will have to nominate a GP for Primary Select and use a hospital network for planned procedures on both options. The contributions for these options are from R1 904 for Primary Select and R1 477 for BonEssential Select. We have enhanced our preventative care benefits to include mammograms for women over 40 once every two years on all our plans. In addition, prostate screening antigen tests will be covered for males between 45 and 69 years on all options. We are pleased to announce that in 2019, children’s vaccines according to the Expanded Programme for Immunisations will be covered on BonClassic, BonComplete, Standard, Standard Select, BonSave, Primary, Primary Select and BonFit. This benefit will be in addition to savings and day-to-day benefits so that our younger members get the care and support they need. Our optical provider for 2019 will be PPN. PPN is the largest optometry network in South Africa with over 2 600 providers located countrywide. We have also appointed Ampath, Lancet, Pathcare and Vermaak as designated service providers for all blood and lab tests in and out of hospital. An internal prosthesis benefit of R31 500 per family (excluding joint replacements) will be added to the BonEssential option in 2019. 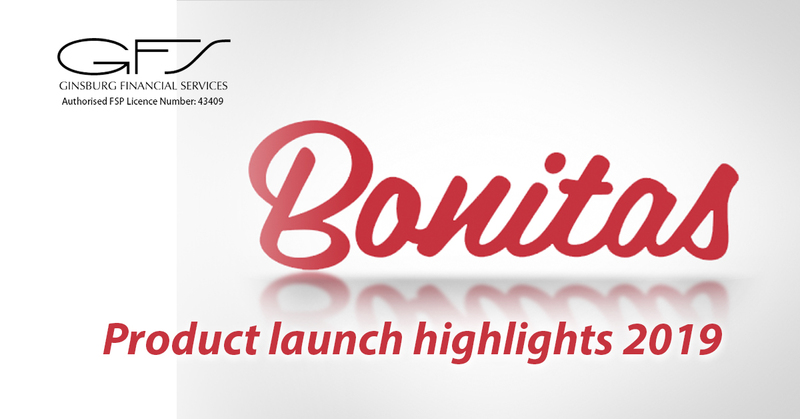 The benefit will also be included on BonEssential Select. We introduced ICON as a preferred provider for oncology services and ICPS/JointCare/Major Joints for Life as the preferred provider for hip and knee surgery. The specialised radiology benefit was combined to R31 330 per family, in and out of hospital. The out-of-hospital radiology and pathology benefits have been combined into one benefit and the out-of-hospital physiotherapy and paramedical services have been combined into one benefit as well. We have also removed the benefit for specialised drugs on this plan.